‘and that one person is Jesus Christ’. Lu Ann Ballew at Cocke County Chancery Court on Thursday to decide the matter. However, Ballew took issue not with the baby’s surname but his first: Messiah. incorporates both mother and father’s surnames but leaves out Messiah. 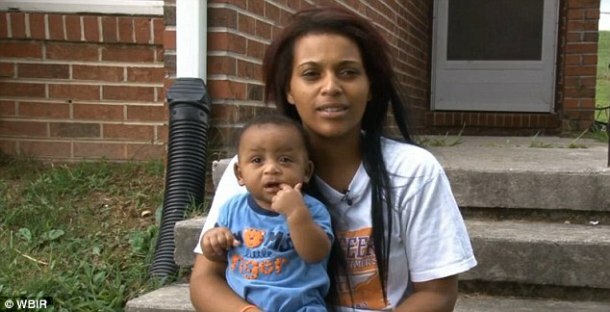 and that one person is Jesus Christ,” Judge Ballew told WBIR. THE RAPTURE IS REAL, I SAW IT! I have seen so many videos of those that testify about the coming of Jesus and their experience at the sight of heaven and hell. And if you would believe me it has been on the increase side lately. But do you know what? I also saw THE RAPTURE on Tuesday night. And the Lord sent me to you all. I do not want you to believe me beloved, but you must get prepared….Jesus is coming sooner than you think. Don’t get carried away by the church activities rather consciously prepare for Jesus. Whatever method you choose to use, make sure you don’t miss HEAVEN! Please don’t wait to experience the unbearable suffering of Hell…Heaven is made for you, if you choose the path of RIGHTEOUSNESS! I hope to tell you more soonest! 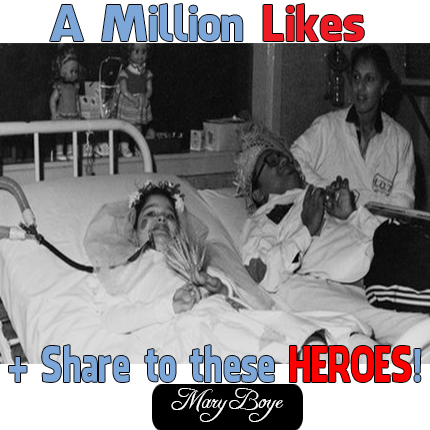 These two people (Machado and Zagui) have spent all their lives in the hospital and they are still there today, for some serious medical reasons;the danger of infection means that they have to live in hospital. Machado is now 45 years, still hooked up to an artificial respirator 24 hours a day. But despite this, Machado has trained as a computer animator and is now creating a television series about his life. Zagui fills her time writing – she is a published author – and painting using her mouth. They were not the only children infected then they were just the two lucky ones God preserved, for a purpose. 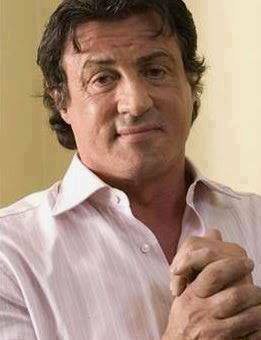 The famous American actor SYLVESTER STALLONE Confesses Jesus as his Lord and Saviour!. The famous American actor SYLVESTER STALLONE has made a very important decision in his life. Did he film another movie? NO. He has surrendered his life to the Lord Jesus Christ, and announced it to the public several days ago. However, there’s hardly been any information about it. If he had announced he was GAY, the TV shows and all the media and newspapers would have given it full coverage. Why hasn’t this announcement -accepting Jesus as Saviour- not hit the news? Because it has no rating, it pays no publicity and it is politically dangerous. I have therefore decided to announce it here, in Facebook, because there was a great celebration that took place in Heaven. Let’s all share this and celebrate it! MY LOVE TO YOU, DEAR BROTHER SYLVESTER! El famoso actor estadounidense SYLVESTER STALLONE acaba de tomar una decisión muy importante en su vida. ¿Grabó otra película? NO. Ha rendido su vida al Señor Jesucristo y lo anunció al público días atrás. No obstante, casi no ha habido información al respecto. Si hubiese anunciado que era GAY, los programas de TV y todos los medios y periódicos le habrían dado mucha cobertura. ¿Por qué esta declaración -el aceptar a Jesús- no ha llegado a las noticias de último momento? Porque no da rating, no paga publicidad, y se considera políticamente “peligroso”. He decidido por tanto anunciarlo aquí, en Facebook, porque hubo una gran celebración que ocurrió en el cielo. Compartamos todos esto y celebrémoslo. ¡TE MANDO MI AMOR, QUERIDO HERMANO SYLVESTER! A man was walking at the other side; suddenly the man turned and said; ‘hey, the rapture has just taken place 30 seconds ago’, and looking at the time it was 1.00.30s AM. The man proceeded by saying go in the left direction you will find other Christians there. They are taking the mark already. Go now I give you one minute.. I asked him what about you? He turned and said I am the antichrist who has lived in your midst for so long waiting for this day. I was confused but my spirit said run, my daughter, run. We ran and on covering some distance. I turned back; lo and behold the man we left has turned to the antichrist. We kept running and saw many other people running as well. We got to a very large auditorium too large to be described and behold multitudes of Christians… Brethren it was a terrifying experience. People of high standing with God, Prominent men and women of God, loved ones and friends. I couldn’t comprehend this so I screamed, all of us, God what happened? 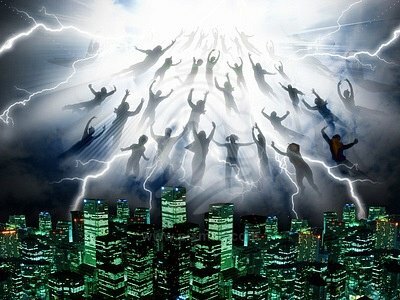 The Lord now took me in the spirit to five churches: In a predominant church of one tribe, I saw the pastors announcing that the rapture has just taken place and that people should start receiving the mark right there in the church that this will substitute the said beast mark and enable them to buy and sell. Brethren, what made me weep was that the innocent and ignorant members started receiving this mark not knowing it was actually the mark of the beast. The Lord then said all these pastors are agents of the beast who has been ordained to mislead the people and who already has the beast mark before his manifestation, and I saw marks on the right arm of all these pastors. A brother who was fortunate to see who to call him to start running down to the place where all other Christians are was shot in the leg as he was about climbing the top of the Christian’s hide out. Then the Lord took me again to another church where the pastors were just speaking of the good things of the scripture and didn’t talk about the second coming of Christ and warn the people of the wages of sin. The irony of it was that all these pastors and their members were left behind. Then I saw another church where people did really emphasize the coming but all the people didn’t go as a result of the hidden sins which weren’t known to man and they had not counted as sin. I wept bitterly because this was a church where holiness was professed and held in high esteem. I saw another church where people concentrated mainly on attacking demons and where the true word was also preached but the people also didn’t go due to malice and lack of spiritual concentration. I saw yet another church where the people were actively involved in preaching the word and talking about the second coming, however these people did not go. The whole lot was full of hypocrites who disguise themselves in shepherd’s clothes. I was then taken back to the place where the multitude were and then I saw that the people of the beast came and Christians started scrambling for safety. Brethren it was a terrifying experience. Women forgot their children, husbands their wives. We ran and got to another place of hiding but the surprising thing which should make all shiver was that the population was now so small that it was easy for every one to identify each other as family and friends started pairing up. The Lord then said others have received the mark. Brethren the people I saw made me weep uncontrollably. Prominent men of God all over the world, Christians and loved ones. I now asked the LORD why all these one and God showed me different people and men of God saying: this man was perfect with me until two hours ago. I wept because so many little things which we humans don’t count were counted by God. Tell my people to read Matthew 16:3. And warn all the ministers who has gone in the ways of BAAL. PLEASE HELP ME OUT BY SPREADING THIS WORD TO ALL YOU KNOW. ANYTHING WORTH DOING, IS WORTH DOING WELL.. Copy and paste it, share it, call, email and text this link. PLEASE SAVE A SOUL TODAY. Have done my part, it’s now your turn to spread the Gospel. No wealth can be compared to life everlasting in Heaven.